Just like the team they traded with is wanting to pick up as many Mexican-Americans as possible, the Portland Timbers appear to be snagging as many former Akron Zips as they can. The Portland Timbers today announced that the club has acquired midfielder Ben Zemanski from Chivas USA in exchange for allocation money and the right of first refusal to defender Jonathan Bornstein. The 24-year old midfielder has played all three seasons of his MLS career with Chivas. An interesting move to say the least considering the fact that he likely would have played a lot of minutes for Chivas USA this season. The move opens up some allocation for the Goats to sign one of their many trialists in camp and should the timing work out, they’ll get Jonathan Bornstien back. Calen Porter obviously knows Zemanski well, he coached him at Akron after all. Zemanski played in 86 matches, recording nine goals and 14 assists during time under Porter at Akron. Bornstein was selected by the Timbers with the No. 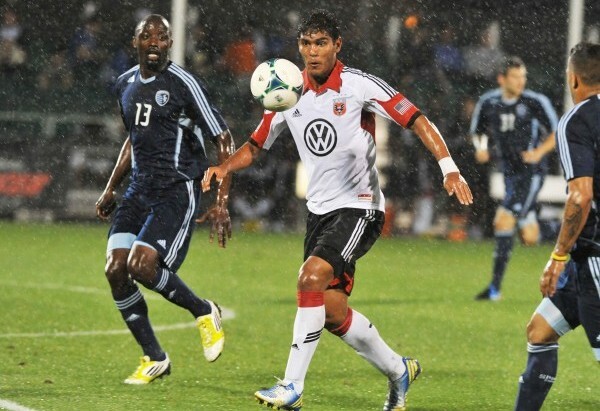 15 overall pick in the 2010 MLS Expansion Draft on Nov. 24, 2010, from Chivas USA. He played five seasons with Chivas USA from 2006-10 before joining Mexican first-division club Tigres UANL in 2011.